Kerry: U.S. Will Take 100,000 Refugees A Year By 2017 : The Two-Way The secretary of state said the U.S. would ratchet up the number of migrants Washington accepts over the next few years to help the European Union deal with the ongoing crisis. Secretary of State John Kerry gestures Sunday during a news conference at Villa Borsig, Berlin, with German Foreign Minister Frank-Walter Steinmeier about the ongoing crisis in Syria. Secretary of State John Kerry is pledging that the United States will significantly increase the number of migrants it accepts over the next two years, ratcheting up to 100,000 annually by 2017. The move, meant to show solidarity with Europe in the face of a growing migrant crisis that has seen hundreds of thousands of refugees from fighting in Syria and Iraq flood into Western Europe, is still a modest one compared to the scale of the situation that exists for European Union countries. "In consultation with Congress, we will continue to explore ways to increase those figures while maintaining robust security," Kerry told a news conference after meeting German foreign minister Frank-Walter Steinmeier. "The need is enormous, but we are determined to answer the call." The U.S. will take 85,000 refugees from around the world next year, an increase from 70,000. By 2017, the number would be 100,000, Kerry says. "Many, though not all, of the additional refugees would be Syrian, American officials have said. Others would come from strife-torn areas of Africa. The White House had previously announced it intended to take in 10,000 additional Syrian refugees over the next year. "Asked why the U.S. couldn't take more, Kerry cited post-Sept. 11 screening requirements and a lack of money made available by Congress. "'We're doing what we know we can manage immediately,' he said, adding that the U.S. cannot take shortcuts on security checks." 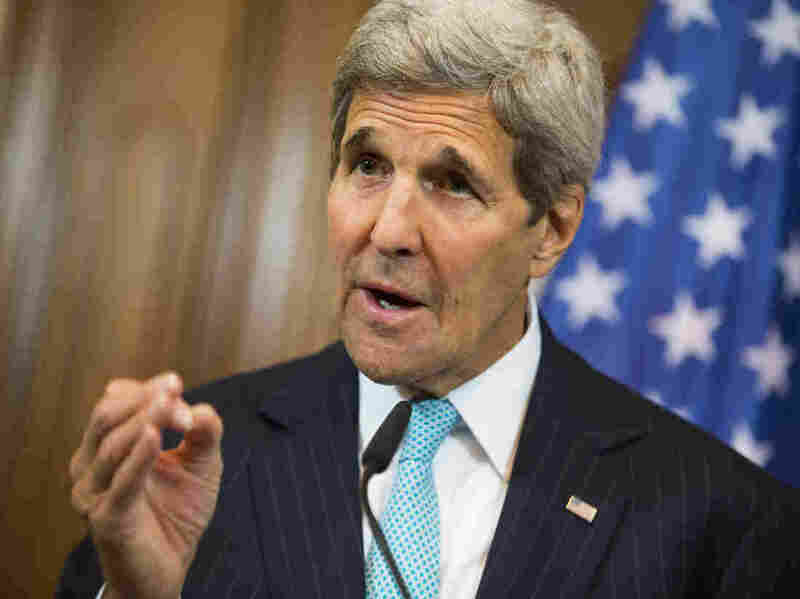 "Kerry's comments on refugees address calls on U.S. President Barack Obama to help more in the crisis. Obama has said the U.S. will accept at least 10,000 Syrians over the coming year displaced by the four-year-old civil war. "His announcement comes ahead of a Sept. 23 emergency summit meeting of European Union leaders to address the stream of refugees that has overwhelmed the region."